Vietnam devalued its currency for the third time since November, moving to reverse a slump in exports that helped to drive stocks close to a bear market. 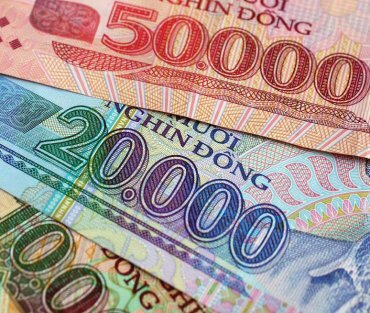 The dong slid to a record-low 19,425 per dollar at 9:28 a.m. in Hanoi after the central bank lowered the reference rate by 2 percent to help control a trade deficit. The Ho Chi Minh City Stock Exchange’s VN Index dropped 1.6 percent to 455.96, extending its decline from the May peak to 17 percent, near the 20 percent that would indicate a bear market. A weaker currency may boost exports and demonstrates the government’s focus on boosting economic growth over further easing inflation, said Prakriti Sofat, a Singapore-based economist at Barclays Capital. Prime Minister Nguyen Tan Dung said in June the economy may expand as much as 7 percent this year, beating the 6.5 percent target, from 5.3 percent in 2009.